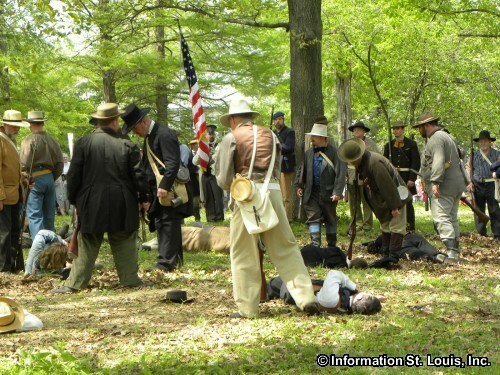 The Civil War officially came to the State of Missouri with an event known as the "Camp Jackson Affair". 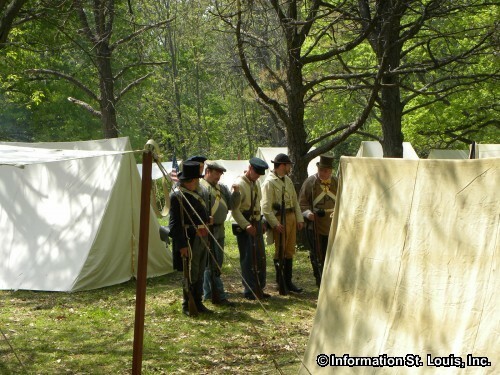 "Camp Jackson" was a bivouac area laid out in what was known as Lindell Grove, for the encampment of the Missouri Volunteer Militia who had gathered for a yearly event of muster and drill exercises in May of 1861. It was given the nickname "Camp Jackson" for the governor of the State of Missouri, Claiborne F. Jackson, who was a southern sympathizer. 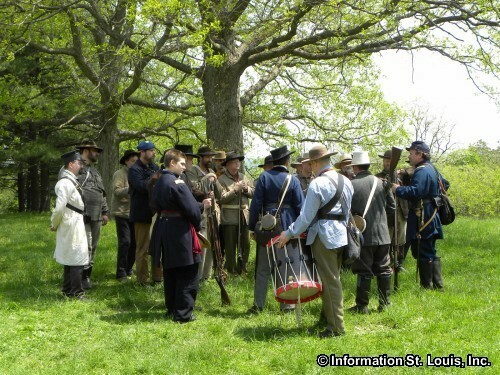 Missouri's lawmakers had declared earlier that Missouri, a slave state, would remain neutral in regards to the Civil War, but remaining so would prove hard to do. 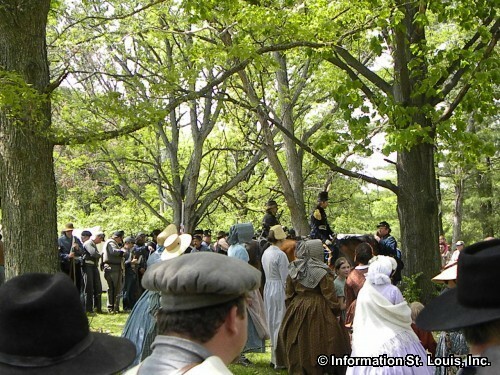 The residents of the City of St Louis were mostly pro-Union, being made up of a large number of anti-slavery German immigrants. 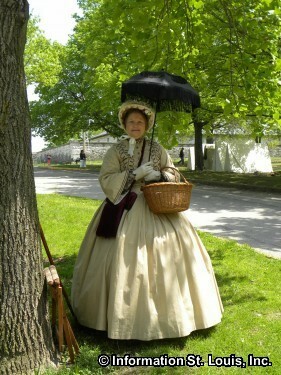 But the residents from the outlying Missouri countryside were pro-South having emigrated to Missouri from Kentucky and Tennessee. 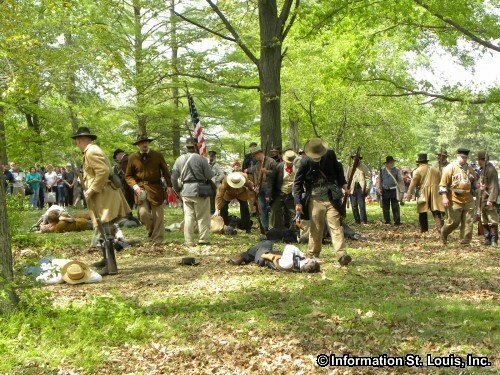 The event known as the "Camp Jackson Affair" would cause the balance in Missouri to be tipped in favor of the South. 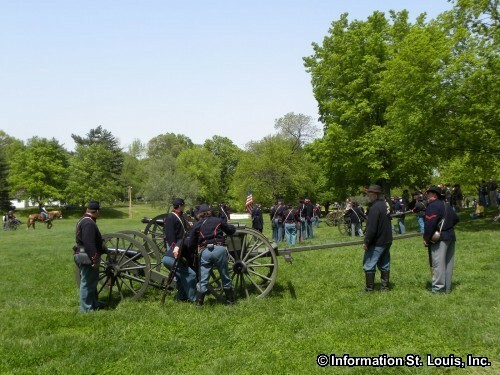 The U.S. Arsenal was located in St Louis and there was concern that Governor Jackson was going to attack and take control of the Arsenal for the Confederacy. Captain Nathaniel Lyon was put in charge of defending the Arsenal for the Federal Government. He learned that Governor Jackson had been in contact with the Confederate President Jefferson Davis to request arms to use to capture the Arsenal. Those arms were delivered to Camp Jackson and to General Daniel M. Frost, commanding officer of the Missouri Volunteer Militia. 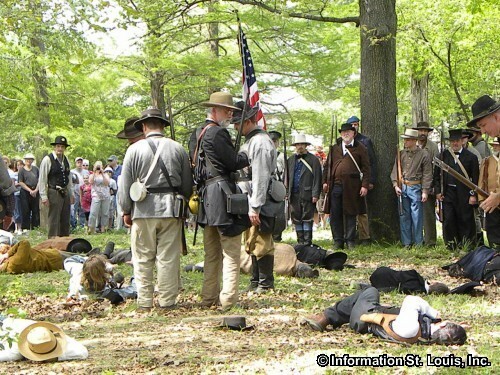 Captain Lyon, deciding that an attack was eminent, ordered his volunteer regiments to march on Camp Jackson and surround the encampment. 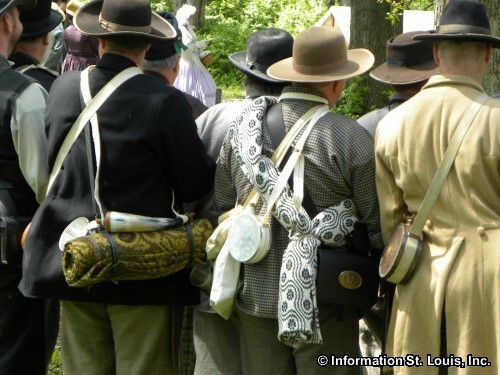 Greatly outnumbered, the Militia "surrendered" and were marched through the streets of St Louis to the Arsenal. 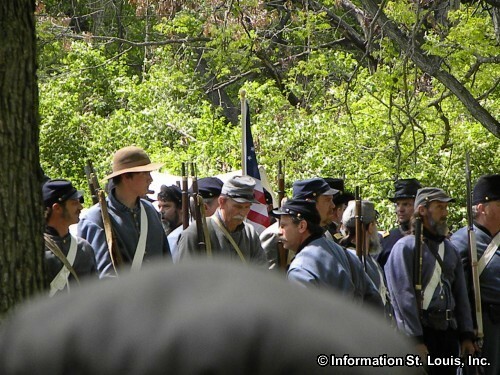 Citizens of the city were gathering to watch and someone shot into the troops. The Federal troops began shooting back and in the end 28 people, including women and children, were killed and others wounded. 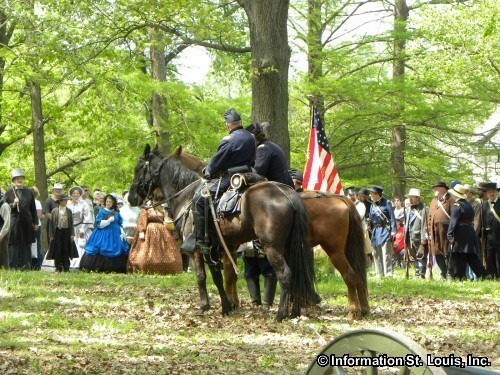 Sympathies were tipped towards the south because of the "Camp Jackson Affair" but Captain Lyon's actions went a long way in securing the city of St Louis and the state of Missouri for the Union. 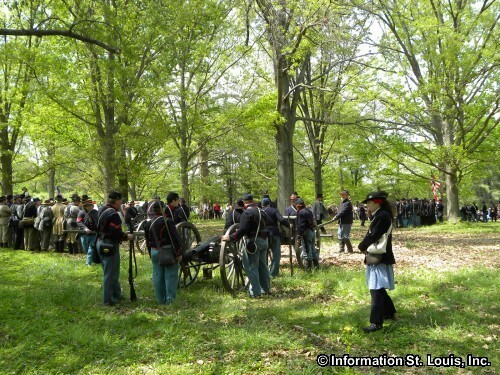 Camp Jackson was located on what is now the campus of St Louis University, east of Grand Avenue and is called the Frost Campus in honor of General Daniel Frost. 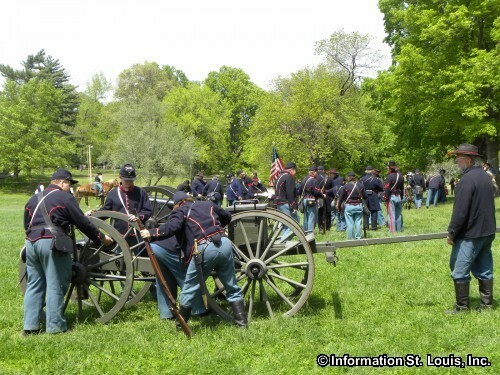 The "Arsenal" is still located in the city of St Louis at Second and Arsenal Streets and is an active military base although no longer a US Arsenal. 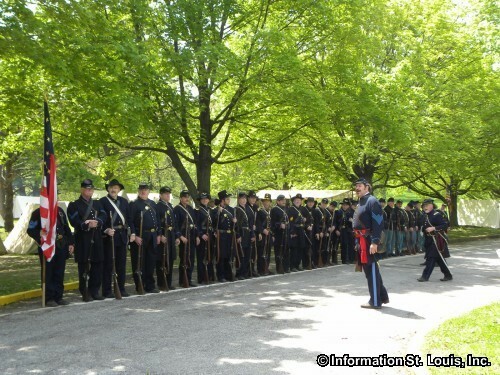 Across the street from the Arsenal is Lyon Park, a St Louis city park whose land was donated to the city of St Louis by the Federal government with stipulations that it would always be a park honoring General Nathaniel Lyons.